Need a little sparkle to your garter? No worries! We have you covered! 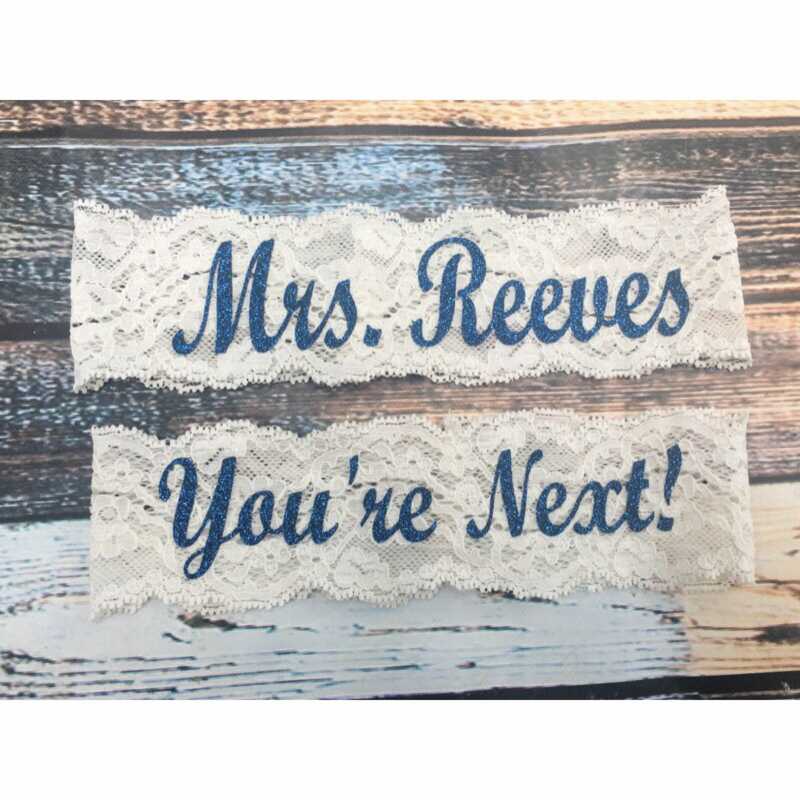 Our bling Mrs garter and you're next garter is perfect for your something blue! Choose from BLING Colors - navy, turquoise, rose gold, gold, or black. Also Choose from a single garter or set! Just let us know in the note to seller section at checkout what your last is. We use HIGH quality material for the bling aesthetic that is used on garments. Please make sure before ordering you understand that this is a BLING garter in which embroidery thread is unable to replicate. PLEASE copy and paste Initials to be monogrammed in the order you would like them to appear to the note to seller section and make sure you DOUBLE CHECK as there are no returns on custom or wedding items. **Monogrammed garters or any other personalized items can not be refunded after 48 hrs of purchase date due to the nature of this item.